Seabrook Island is blessed with many people who contribute to the community with their time and energy. There are few indeed who have done as much or cared as much for Seabrook as Sue Holloman. Sue served in numerous capacities here including President of SIPOA and Secretary of the Club during very difficult times. 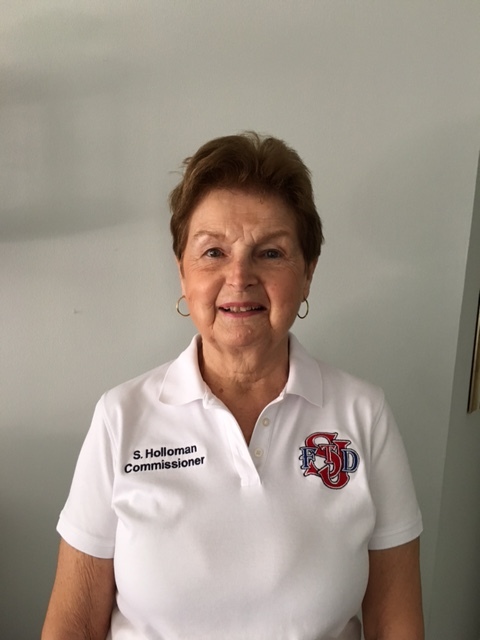 She was also involved in nearly every organization on the Island, including being a founding member of the Green Space Conservancy, serving as Seabrook Island’s Fire Commissioner, and writing for Tidelines. But that merely scratches the surface of her contributions. Having been in education most of her adult life, Sue took on the task of teaching classes at Mt. Zion Elementary in a volunteer capacity. To honor Sue’s 17 years of volunteer work with Mt. Zion, the Charleston School Board presented her with the very special award of “Behind the Scenes Hero Award of Excellence.” She also contributed to the wider community through the Kiawah-Seabrook Exchange Club. She has done all this because she cares deeply for her fellow human beings, particularly those most vulnerable – the children. One thing Sue is most proud of doing at Seabrook is something rarely mentioned or even noticed. After her husband Bill died of a heart attack while golfing here, Sue spearheaded an effort to have AED’s (automated electronic defibrillators) installed on the Island, long before they became more commonplace elsewhere. She didn’t want others to meet the same fate as her Bill. It is just one more example of how much Sue cares about all the rest of us. Sue is moving to Charlotte to be nearer to her family. We all wish her nothing but the very best in her new life and her new endeavors. We will miss her very much.